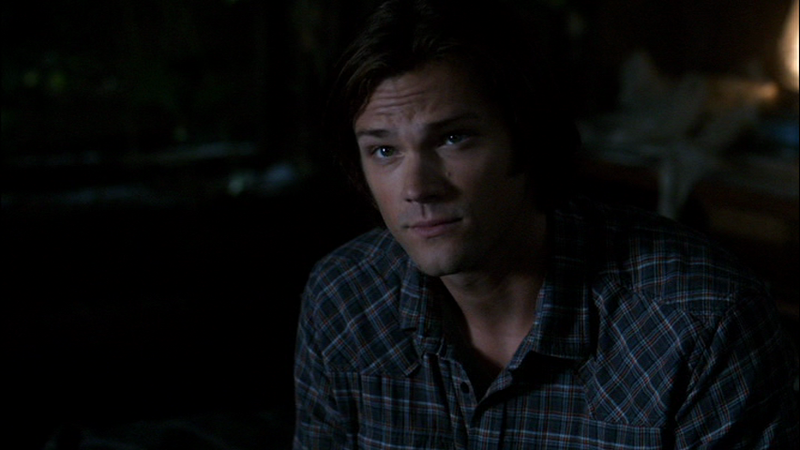 In Exile on Main St. (6x01), Sam wears it for the entire time we see him in the episode. In Unforgiven (6x13), this is the shirt Sam is wearing at the end of the episode, when he collapses as the hell wall cracks. In Mannequin 3: The Reckoning (6x14), Sam is, of course, still wearing this shirt when he wakes up after being unconscious for only 2 or 3 minutes. He keeps it on as he and Dean leave town, stopping for a bite to eat and finding their next job. 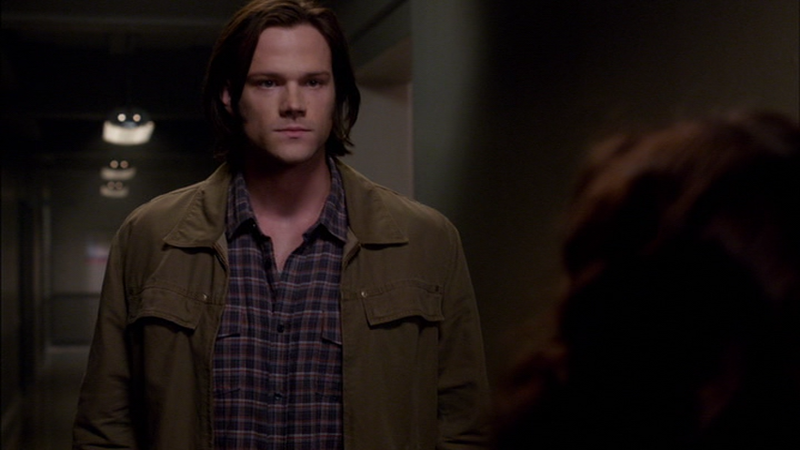 In Death’s Door (7x10), Sam is, of course, still wearing this shirt as they bring Bobby to the hospital. He wears it for the entire episode. In Repo Man (7x15), Sam is wearing this shirt upon arrival at the motel in Coeur d’Alene. In Reading is Fundamental (7x21), Sam wears this shirt for the entire episode. 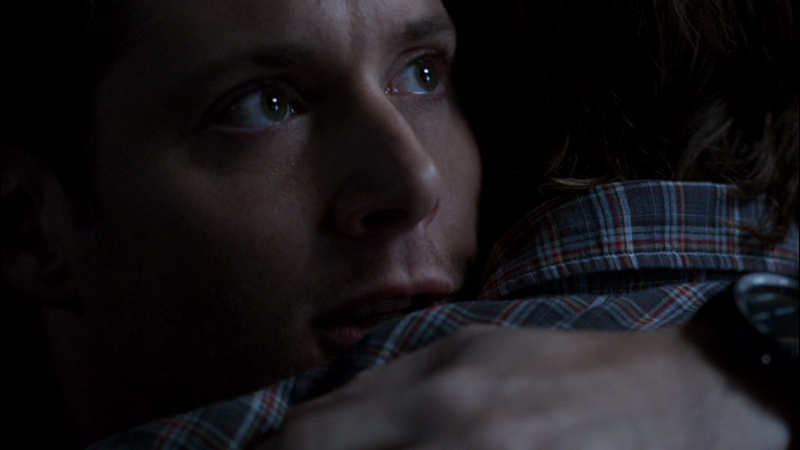 In Blood Brother (8x05), Sam wears this shirt while researching in the motel room, and fixing the bathroom fan, and thinking about his life – while Dean is away on a secret vampire hunt. In Remember the Titans (8x16), Sam is wearing this shirt when he runs into Prometheus’ motel room when Artemis attacks. He wears it until the kid dies the next day and they leave the motel to go to the Bunker. In Sacrifice (8x23), Sam wears this shirt from when they pick up the demon tablet until the end of the episode. In I Think I’m Gonna Like It Here (9x01), Sam wears this shirt again at the end of the episode, once he is out of the hospital. He also wears it in his dreams throughout the episode. 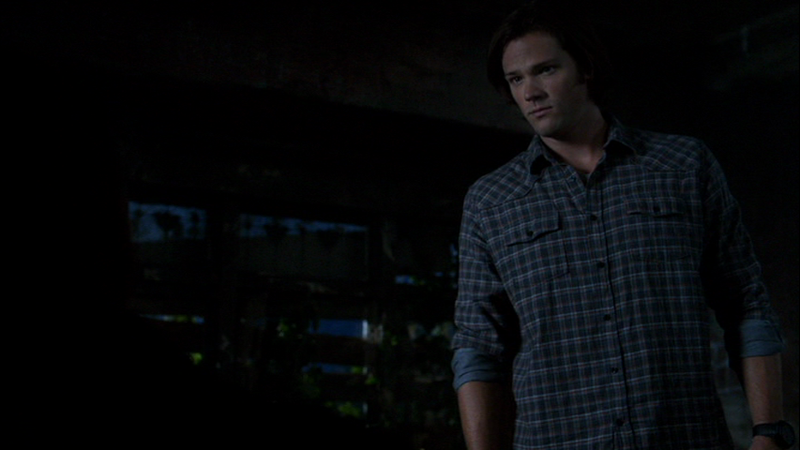 In Devil May Care (9x02), Sam is still wearing this shirt at the beginning of the episode, when Dean shows him that Crowley is in the trunk. He changes before they arrive back at the Bunker. Hi! I noticed you missed an episode here - Sam wears this shirt also in "How to Win Friends and Influence Monsters" (7x09), right up until the end when Bobby gets shot. Oh! That's bizarre! Yes, looks like it was just a copy-paste error from my master file. Thanks for letting me know!